With an unexpected turn in the wedding, Leonard’s parents are also available in the wedding attending the function on time. Complete wedding set had built up for “The Convergence-Convergence.” Beverly (Christine Baranski) is going to be there but will be shocked to learn that Leonard’s dad Alfred (Judd Hirsch) was invited too in the ceremony. According to information from the Big Bang Theory spoilers, Alfred and Beverly will have a bad time persisting each other’s propinquity and will carry a not so good relationship with each other, restricting their rights of speaking it out in “The Big Bang Theory” season 9 finale. This might be the reason of plot twist drafting it as a reason for the failure of Leonard and Penny’s second wedding. While there is another surprise waiting for the viewers as Sheldon had invited her mother Mary for the marriage ceremony. Similar to Alfred, she isn’t very enamored of the Hofstadter matriarch, and this will lead to the two getting along eventually and then hooked up together. “The Big Bang Theory” fans could imagine, how their sons will be the least enthusiastic about this addition. The major part which would be awaited after this development is to see their child’s reaction. As the process of arranging the items for the function will get the start, Howard (Simon Helberg) and Raj (Kunal Nayyar) will get themselves busy with some extraordinary works about the project at the engineering lab. And The Big Bang Theory spoiler is, their project is finally going to work. As soon as he completes the project as a mark of hard work and dedication the things turns into a disguise into blessings where he got an email from the Air Force, which apparently gives notice that he is in big trouble with the govt. In the entire series, this episode will be the first time Leonard’s father will appear in “The Big Bang Theory.” Until it will be the part three this season that Baranski will perform as Beverly. 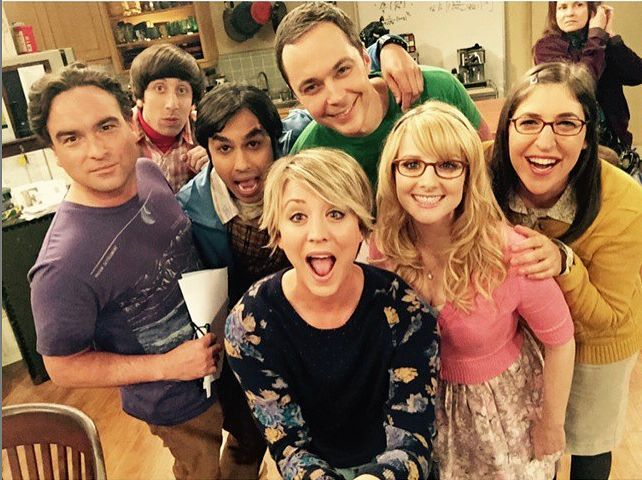 “The Big Bang Theory” season 9 finale “The Convergence-Convergence” will air on May 12 at 8 p.m. EDT on CBS.